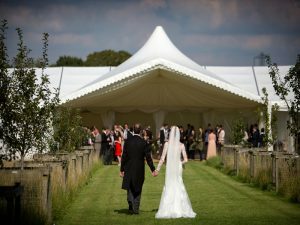 When organising your big day, the secret to success lies in an excellent relationship with your caterer. 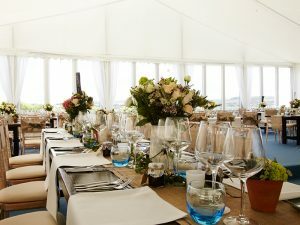 Whether your reception is at a venue or in a marquee, we are always happy to create bespoke menus – no two weddings are ever the same. 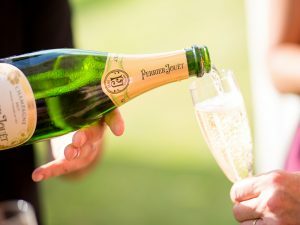 We always offer ‘one to one’ wedding tastings to fine tune your menus and meetings to discuss all aspects of your wedding. 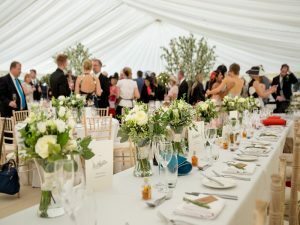 Choosing a marquee for your wedding reception allows you to create a bespoke venue and working with a great team behind the scenes brings it all together on the day, so that you can relax and enjoy yourselves. We work closely with Joseph Benjamin Marquees, who we are very happy to recommend. Food is always our focus, but we also provide complete pop-up kitchen, table laying, excellent staff, drinks packages and bar services.